Iowa's attorney general is challenging a federal judge's ruling that declared the state's so-called ag-gag law as unconstitutional. The law, backed by livestock farmers across the state, made it illegal for animal-rights advocates to film undercover videos at livestock facilities in an effort to document unsanitary or inhumane conditions. In a legal motion filed on Wednesday in the U.S. Court of Appeals for the Eighth Circuit, Iowa Attorney General Tom Miller appealed the decision, arguing argued that "there is substantial ground for difference of opinion, and thus a reasonable likelihood of success, as to whether Iowa's Ag-Fraud statute restricts protected speech in violation of the First Amendment." Last month, a federal judge overturned the 2012 Iowa Code 717A.3A, citing First Amendment violations. In his ruling, the judge cited "several industrial farm investigations that brought critical national attention to Iowa's agricultural industry," including a 2011 ABC News report focused on Sparboe Farms. "In 2011, an undercover investigation at Iowa Select Farms produced reports of workers hurling small piglets onto a concrete floor. Another investigation at Iowa's Sparboe Farms, documented reported mistreatment of hens and chicks. And yet another, conducted by PETA, exposed workers at a Hormel Foods supplier in Iowa 'beating pigs with metal rods,'" the judge said. The ruling was welcomed by animal-rights activists like Wayne Hsiung, co-founder of Direct Action Everywhere, which describes itself as a "grassroots network of animal-rights activists." 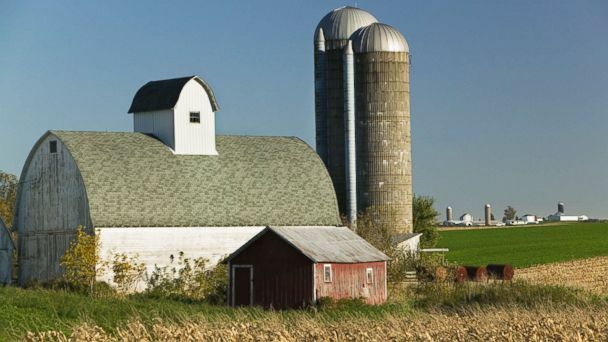 "The American public is coming to grips with the fact that Big Ag has an incredible amount of power," Hsiung told ABC News. "If transparency is a threat to your industry, maybe your industry should change." The Iowa Pork Producers Association released a statement expressing their disappointment after the initial ruling, stating that it was never the intent of farmers to infringe on others' constitutional rights. "We support the Iowa Attorney General's office decision to appeal the District Court's decision," stated the Iowa Pork Producers Association. In the motion, Miller argued that other states have had success in getting rules limiting activists' ability to conduct undercover investigations partially reinstated. "The Ninth Circuit has upheld a portion of Idaho's Ag-Fraud statute, which is arguably similar, although slightly narrower, than Iowa's," Miller said. Veronica Fowler of The American Civil Liberties Union of Iowa told ABC News that they were prepared for an appeal. "We think that we have a pretty clear case and we are confident that Iowa Ag-Gag law is a fundamental violation of the First Amendment," she said. Adam Mason, state policy organizing director for the Iowa Citizens for Community Improvement (CCI), one of the organizations that challenged the 2012 law, told ABC News that an appeal was "one more sign that the corporate farm industry wields an immense amount of power" and vowed to keep fighting the measure. "Our members will continue to fight Iowa's Ag-Gag law tooth and nail," he said.